Description: Adds one or more components to the selected test cases. an arry of case_ids or aliases, or a string of comma separated case_ids. codes if a failure occured. Description: Add one or more tags to the selected test cases. or a comma separated list of tags. Description: Add one or more cases to the selected test runs. an array of IDs, or a comma separated list of IDs. Description: Add one or more bugs to the selected test cases. an array of case_ids or aliases, or a string of comma separated case_ids. an array of bug_ids or aliases, or a string of comma separated bug_ids. Description: Returns an average time for completion accross all runs. Params:      $id - Integer/String: An integer or alias representing the ID in the database. Returns:     String: Time in "HH:MM:SS" format. Description: Creates a new Test Case object and stores it in the database. matching the fields of the test case to be created. an array of Hashes, or a single hash. error during creation, a hash with an ERROR key will be set in its place. Description: Remove a bug from a test case. Params:      $case_id - Integer/String: An integer or alias representing the ID in the database. Description: Used to load an existing test case from the database. or a string representing the unique alias for this case. 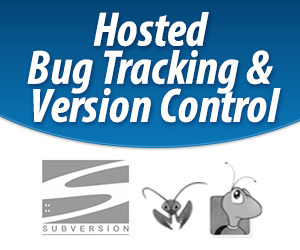 Description: Get the list of bugs that are associated with this test case. Returns:     Array: An array of bug object hashes. Description: Get the list of case-runs for all runs this case appears in. To limit this list by build or other attribute, see TestCaseRun::list. Returns:     Array: An array of case-run object hashes. Description: Get the list of changes to the fields of this case. Returns:     Array: An array of hashes with changed fields and their details. Description: Get the list of components attached to this case. Returns:     Array: An array of component object hashes. Description: Get the list of plans that this case is linked to. Returns:     Array: An array of test plan object hashes. Description: Get the list of tags attached to this case. Returns:     Array: An array of tag object hashes. $version - Integer: (OPTIONAL) The version of the text you want returned. Returns:     Hash: Text fields and values. Description: Link test cases to the given plan. an array of plan_ids, or a string of comma separated plan_ids. Returns:     Array: Array of failure codes or an empty array. Description: Performs a search and returns the resulting list of test cases. Params:      $query - Hash: keys must match valid search fields. Returns:     Array: Matching test cases are retuned in a list of hashes. Description: Performs a search and returns the resulting count of cases. Params:      $query - Hash: keys must match valid search fields (see list). Returns:     Integer - total matching cases. Returns:     String: the status name. Params:      $name - String: the status name. Returns:     Integer: ID of the case status. Description: Removes selected component from the selected test case. $component_id - Integer: - The component ID to be removed. Returns:     Array: Empty on success. Description: Remove a tag from a case. $tag - String - A single tag to be removed. Description: Update the large text fields of a case. Params:      $case_id - Integer: An integer or alias representing the ID in the database. $action, $effect, $setup, $breakdown - String: Text for these fields. [$author_id] = Integer/String: (OPTIONAL) The numeric ID or the login of the author. $plan_id - Integer: An integer representing the ID in the database. Returns:     Array: Array of plans still linked if any, empty if not. Description: Updates the fields of the selected case or cases. Integer: A single TestCase ID. to set each field to. ERROR key and the message as to why it failed.